Rama Tulsi , a medicinal herb is native to India, its spicy and refreshing fragrance and tiny colorful flowers makes this a useful houseplant. 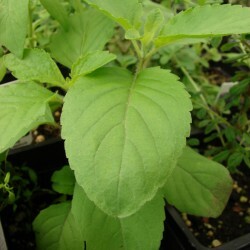 Tulsi grows as a perennial plant in areas with mild winter and as an annual in cold and temperate climates. Rama Tulsi , a medicinal herb is native to India, its spicy and refreshing fragrance and tiny colorful flowers makes this a useful houseplant. 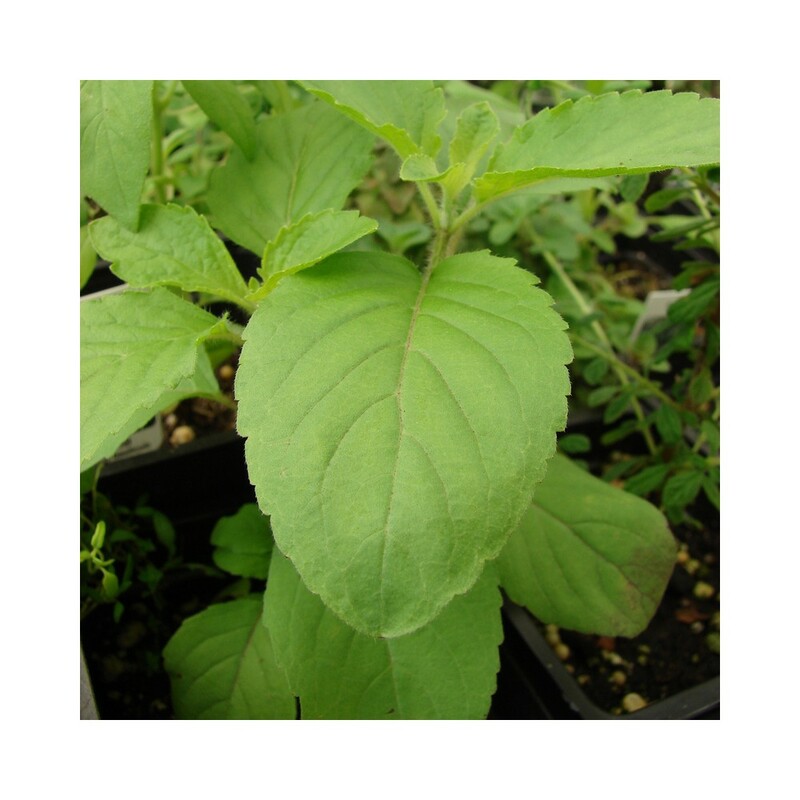 Tulsi grows as a perennial plant in areas with mild winter and as an annual in cold. Tulsi grows well in loamy and fertile soil with good drainage, pH level around 6 to 7.5 is optimal. Holy basil thrives in full sun but grows in partial shade too, at least four hours of sunlight a day is required. Water the plant when top one inch of soil is dry. Do not water during rain. Reduce watering by the winter to prevent diseases. It is important to pinch tops of Tulasi plant when they are forming four or six pairs of leaves, this will make the plant grow bushier. Even the flower buds need to be removed when they appear. It grows more lush and full when seed production is prevented. It is also important to remove the faded, wilted or discolored leaves to encourage the growth of new foliage. Regular removal of old leaves and flower buds keep the plant healthy. Apply balanced liquid fertilizer once in every couple of weeks. Replacing top two inch layer of soil with compost every year or in six months is also beneficial. Prune Tulsi as needed throughout the year to control its size and promote bushier and more compact growth. Remove no more than half of the growth of stem while pruning. Move Tulsi plant indoors in the winter if you live below USDA zone 10, place the plant near a bright sunny window, where the temperature is kept above 50 F (10 C). Move the plant again outside after all the dangers of frost are passed. It is generally pests and diseases free. However, when grown in poor conditions it might be attacked by some common pests like mealy bugs, aphids, spider mites and sometimes whiteflies. For treating pests use organic pesticide or insecticidal soap.